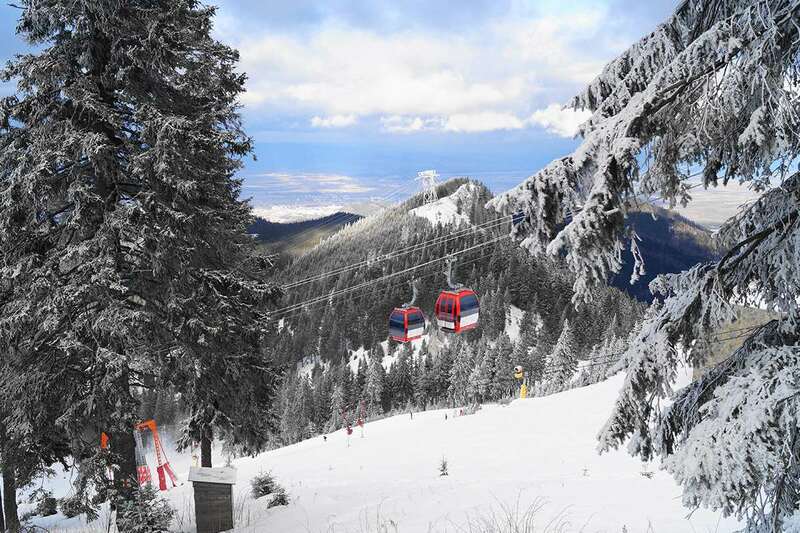 The recently refurbished hotel Poiana in Poiana Brasov enjoys a beautiful pinewood setting, next to hotel Sport (100 metres walk) and 150 metres from the Poiana Brasov ski lifts. The hotel Poiana offers a good standard of accommodation and has established itself as the social gathering point of this resort. Guests have their meals in hotel Sport and are welcome to use the rest of hotel's facilities. Rooms (2-3 people): A twin or triple room with bath or shower, wc, cable TV, minibar and phone. Twin rooms for sole use available at a supplement. Some rooms have balcony, available on request. This is a superb resort and accommodation (Sport, Bradul, and Poina) for beginners, with excellent fun and tuition from English speaking instructors. All inclusive package does exactly what it says on the tin, with ski-equipment, lift pass, tuition and food and drink all included - only downside is the variety of free drink on offer i.e. one beer, one red wine, on white wine. The resort is in the middle of the Carpathian mountain range so scenery is fantastic. Downside is there is only around 14km of piste so people who class themselves as intermediate may find themselves a little wanting toward the back end of their holiday.